Man, August 2017 is not going to be remembered as a particularly good month for the U.S.
We had ideological violence, a natural disaster and a political quagmire. Too bad it’s not like August 1977, when we had some great things kicking off. Now, I’m admittedly biased toward this month and year, considering I was born in them, but this is not about me. 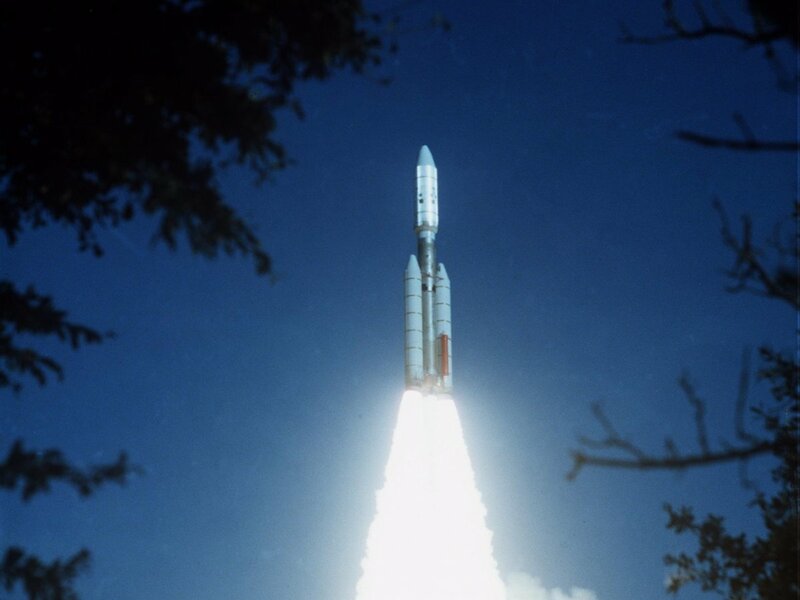 It was on Aug. 20, 1977, Voyager 2 was launched. 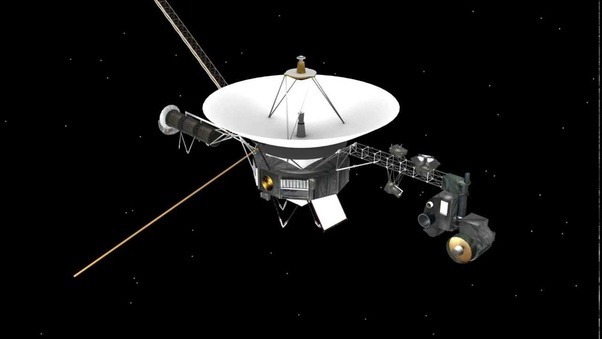 Two weeks later its sibling Voyager 1 was launched on Sept. 5. Now, 40 years later, they are entering their fifth decade in space. Although it was launched second, Voyager 1 is the furthest out of the two. Voyager 1 is now in interstellar space. That means it has left our solar system and the gravitational influence of our sun. Now it travels in that vast area between solar systems, heading for a date with another sun in another solar system on a journey that will take 40,000 years. By the time Voyager 1 gets there, we may have developed technology that lets us bypass the whole traveling-years-through-space thing altogether … or we may have wiped ourselves out. No telling. That sun it is heading for is called AC +79 3888, which is 17.6 light years from earth. If you don’t know what a light year is, it’s the distance light travels in a year. It’s essentially the one universal standard we have. Light has no mass and thus nothing can travel faster than it. As far as speed, its 299,792 miles per second. Voyager 1 is currently traveling at approximately 38,207 miles per hour through space. That may sound fast, which it is, but the fastest manmade object is Juno, which traveled approximately 165,000 miles per hour on its trip around Jupiter. By the time of this writing, Voyager 1 will be about 9.5 billion miles from earth. That means it has gotten as far as 0.1 percent of a light year. If you were somehow where Voyager 1 is now, it would take the light of the sun more than 19 hours to reach you. Yep, space is bigger than most of us could imagine. While it may not be the fastest, no man-made object has traveled as far as Voyager 1. Now, one caveat to that is that it’s not the first thing generated by humans that have made it that far. Humans have been broadcasting radio waves for more than 100 years and those have created a bubble which is about 200 light years in diameter around us (this means the radio waves are centered on earth and broadcasting out 100 light years in every direction). Not too far, at least in astronomical terms, behind Voyager 1, its sibling Voyager 2 is following it out of the solar system. Currently, Voyager 2 is in the heliosheath. The heliosheath is the outer region of the heliosphere, which is the bubble created by the sun’s solar wind. Voyager 2 is not expected to reach interstellar space until 2019 or 2020. It had a different and longer trajectory through the solar system, which is why it was launched first but is not as far as its sibling. The journey to the next star is much further for Voyager 2. In 296,000 years, Voyager will pass by Sirius. After they pass those suns, things will not be over for the Voyagers, though by then they will no longer be communicating with earth and their nuclear batteries would have died. They’d essentially be empty shells, wandering space until found or until they come close enough to an object to be pulled in by its gravity. One thing for certain, it will not be able to escape the Milky Way. Maybe someone will eventually find those golden discs and audio recordings that tell the tale of earth (up until the mid-1970s at least). If you want to keep up with where Voyager 1 and Voyager 2 are in real time, you can visit https://voyager.jpl.nasa.gov/mission/status/ for live updates. ← Flat Earth believers: Are they for real?